Monthly Tournaments are BACK! And in the time they've been away, I've refined the structure and plans for upcoming tournament monthly games. Map: 14, 32 and 64 Player maps are on the table. It is largely dependent on the number of players who apply how this will be tackled. More information will be released closer to the date. There can only be 10% of players in one map who are in an Alliance with one another. So, if you want to play with your fellow alliance members, this encourages you to equally entice other potential CoN players to join in! For example, if 64 players in total apply, two 32 player maps can be used, which will each allow for 3 members of your alliance to apply. A player can only play in 1 game at a time. The rules which apply to any other CoN game type, apply here. Wolfpacking is strictly forbidden and could warrant you a disqualification. Support staff are able to play, but under strict supervision of Dorado. Most importantly, this event relies on YOU. The players. So please be on your best behavior and bring your sportsman-like behavior. 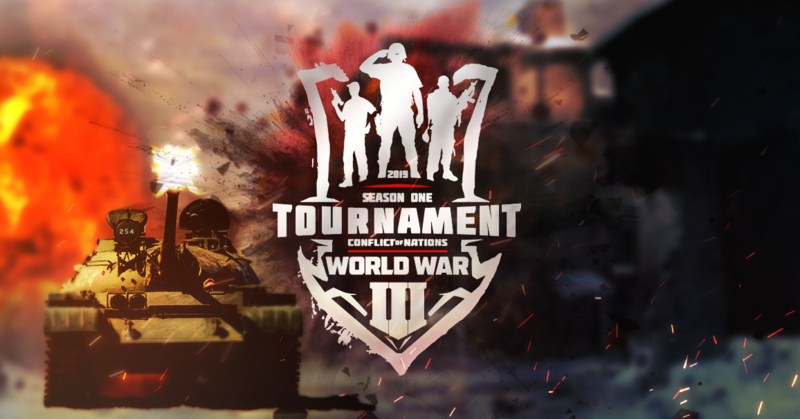 To win this tournament, the team with the highest VP across all gameID's will be claimed the victor. REGISTRATIONS ARE CLOSED. The gameID and password will be emailed to you shortly before the game starts, on 1st March 2019 (Central European Timezone). It is very important to keep an eye on your email otherwise you risk having a rocky start. It is estimated to start at 22:00PM (UTC+1). The post was edited 7 times, last by Yak ( Feb 27th 2019, 4:09pm ). Hey, can you please elaborate on this one? What checks are in place to prevent this from becoming a game of mass alliances? let's try this too, consider me. And, more precisely, what kind of teams? Pre-determined? Freedom to pick and choose? Are they mandatory? You're right in asking. Alliances per map are limited to 10% of the total members per map. So, if 56 players join the tournament, the maximum players that can apply from a coalition are dependent on the maps used. If only the Mediterranean map is used (which houses a maximum of 14 players), then only 1 alliance member is allowed per map, as 10% of 14 is 1.4, rounded to nearest integer is 1. If 64 players apply, we can use 2 32 player maps, which can hold a maximum of 3 alliance members each. Meaning 6 alliance members can apply for that tournament. It's important to note that the limit is dependent on the number of players who are taking part in one map, not the maximum player limit of the map. This means that the more players that join this tournament, the more alliance members can join in. This is because players will be split across multiple maps. what kind of teams? Pre-determined? Freedom to pick and choose? Are they mandatory? They are not predetermined, but they can be. Upon joining the game you are free to join any team you want. The team range has been undetermined but I'm going to estimate 5 being the maximum and 2 being minimum depending on map / event. But yes, mandatory. The post was edited 1 time, last by Yak ( Feb 14th 2019, 10:02pm ). Thats already a decent start, but what about other forms of agreements? Is there anything that stops the players from forming NAPs? With this current rule set, this is possible: 90% of the players agree to a NAP. Those 90% can now easily hunt down the other 10%. The 90% don't need to be in the same coalition, they dont need to share intelligence, nor Right of Way. They just have to say "we don't attack eachother". And if they don't attack each other, who do they attack? They all attack the remaining 10%. Is there anything that stops the players from forming NAPs?